Stacy Harris of This Is Your FBI, Martin Blane & Don Briggs of FBI In Peace & War and Don MacLaughlin of a surprising third show. The FBI In Peace & War on CBS and This Is Your FBI on ABC - without their openings and commercials only the sharpest listeners could tell them apart. But most listeners didn’t care. The shows were almost equal in popularity. The FBI In Peace & War was the first of two popular sound-alike salutes to J. Edgar Hoover’s Federal Bureau of Investigation in the postwar years, debuting on the CBS Saturday schedule in November, 1944, as World War II was within a year of Allied victory. It finished the season as Saturday night’s tenth most popular show opposite the popular Truth Or Consequences. The show was moved to its longtime home on Thursday night the following season. This Is Your FBI was ABC’s successful Friday entry in April, 1945, just a month before VE Day. It was slotted against The Adventures of The Thin Man on CBS and Duffy’s Tavern on NBC, two of the night’s Top Ten shows. It remained on ABC’s Friday night schedule and wore down the competition for the length of its run. The public’s interest in the FBI’s fight against crime, spies and saboteurs following World War II is best reflected in the combined ratings of the two programs which peaked at a remarkable 33.7 in 1947-48, two and a half points greater than the season’s highest rated program, Lux Radio Theater. Both programs scored Top Ten finishes on their nights of broadcast for seven consecutive seasons, 1946 through 1953. This Is Your FBI finished first on Friday nights twice and second three times while The FBI In Peace & War, faced with greater competition on Thursdays, only reached as high as second place once. The two not only sounded alike but earned similar ratings during their runs - The FBI In Peace & War scored an average 11.2 to This Is Your FBI’s 10.8. 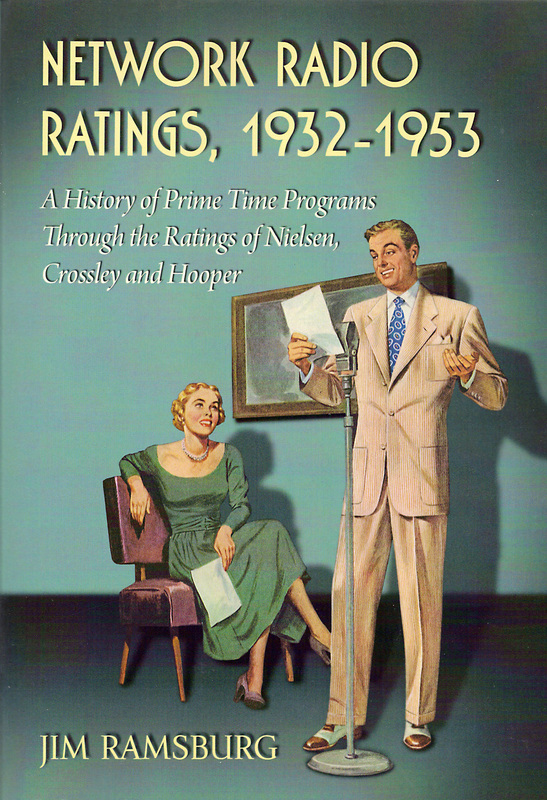 Further, the shows actually tied for 22nd place in the 1948-49 season with identical 14.6 ratings. Both remained in the annual Top 50 lists until the close of Network Radio’s Golden Age in 1953 when This Is Your FBI left the air. The FBI In Peace & War remained on the CBS schedule until 1958. Unlike the CBS show, This Is Your FBI’s creator, Jerry Devine, was a welcome guest in the bureau’s Washington headquarters to research its closed cases and techniques. He was given Hoover’s endorsement to dramatize them with the editing help of the Bureau’s Assistant Director, Louis Nichols. Why Hoover's sudden change of heart? Devine’s cause was advanced by Hoover’s friend Walter Winchell who continually championed the agency on his ABC broadcasts. Any reluctance Hoover may have had turned to a paternal pride, often referring to the ABC program as “our show” and pronouncing it to be the best drama on the air. Both programs were inexpensive, predictable melodramas and exceptionally good buys for their sponsors. Few fans of Network Radio can recall This Is Your FBI’s only sponsor - Equitable Life Assurance Society - but none can forget the soap that literally pounded its way into listeners’ consciousness at the beginning of The FBI In Peace & War. Lava, a heavy duty hand soap, had been marketed since the 1890’s and became a big seller with defense plant workers during World War II. The FBI In Peace & War was Procter & Gamble’s vehicle to extend Lava’s popularity into peacetime use. The grayish-green bar was named for its high content of pumice - ground volcanic rock. Combined with glycerin, Lava left greasy hands remarkably clean, yet smelling and feeling as if they’d been washed with highly perfumed grit - which they were. Throughout Procter & Gamble’s six year sponsorship of The FBI In Peace & War every program opened with a deep-voiced announcer forcefully spelling out, “L-A-V-A! L-A-V-A!” to the accompanying pound of a tympani, segued into the march from Sergi Prokofiev’s 1919 opera, The Love For Three Oranges. P&G’s agency, Biow, created this piece of hard sell at its hardest and it remains one of Network Radio’s most memorable show openings. This Is Your FBI had a seven season run on ABC while The FBI In Peace & War remained on CBS for 14 seasons. Both were outlived by a totally fictional series based on the cases of the USC - United States Counterspies and its chief agent, David Harding - which had a 15 season multi-network run. Counterspy was the brainchild of Phillips H. Lord who gave up trying to work with the FBI in 1935 and converted his G-Men series into the successful Gangbusters, which focused on local law enforcement for 21 years. Then he created the long-running We, The People in 1936 and developed Mr. District Attorney with Ed Byron in 1939. Shortly after Pearl Harbor in 1941, Lord began plotting Counterspy as America’s response to Germany’s Gestapo and Japan’s Black Hand. It debuted in May of 1942 starring Don MacLaughlin, 35, as David Harding, a role he would keep until the show left the air in November, 1957. Although Counterspy could hold its own as drama against the two FBI programs, it was never a Top 50 show. It was shuttled around three networks in eight different time periods on every day of the week but Saturday over its 15 season run. Given that nomadic scheduling and timeslots that included competition from Lux Radio Theater, Dr. Christian, Bing Crosby’s Philco Radio Time and The Adventures of Ozzie & Harriet, Counterspy had little chance to build an audience. For comparison, episodes of The FBI In Peace & War, This Your FBI and Counterspy are posted below. The similarities are striking.